Sony have announced via PlayStation Blog that their beloved PS2 platformers Jak and Daxter: The Precursor Legacy, Jak II and Jak 3 as well as Jak X: Combat Racing will release as PS2 classics on the PlayStation Store sometime later this year. Pricing has yet to be revealed. 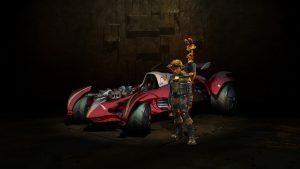 While this marks a second re-release of the original trilogy on modern platforms, after 2012’s Jak And Daxter HD Trilogy on PS3, Jak X: Combat racing has never been released since its 2005 launch on PS2. According to Sony, all four games will include 1080p up-rendering, trophy support, and some other features such as remote play, shareplay and activity feed integration. For more on Jak and Daxter, keep an eye on Late Night Gamers! The JRPG isn’t dead. I believe!